I've been sharing one-semester resources to supplement or break up your homeschool year. I've already mentioned how we're using Civil Rights: Then & Now, as well as Philosophy for Kids this spring semester. 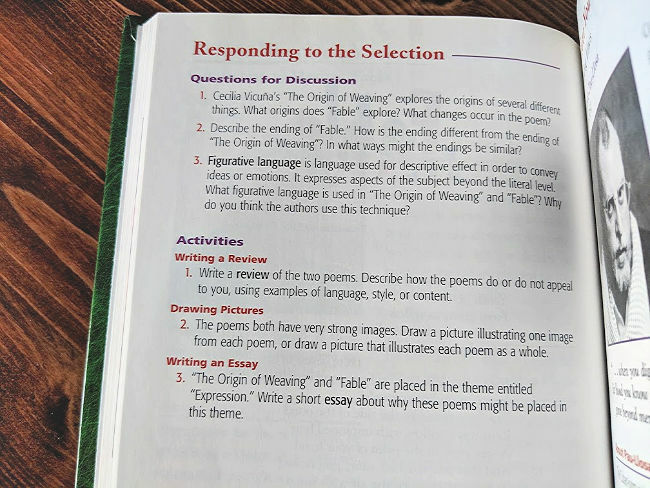 Here's another one I'm looking forward to using in the fall with my 8th grader, but it would be an excellent resource for high school, too. 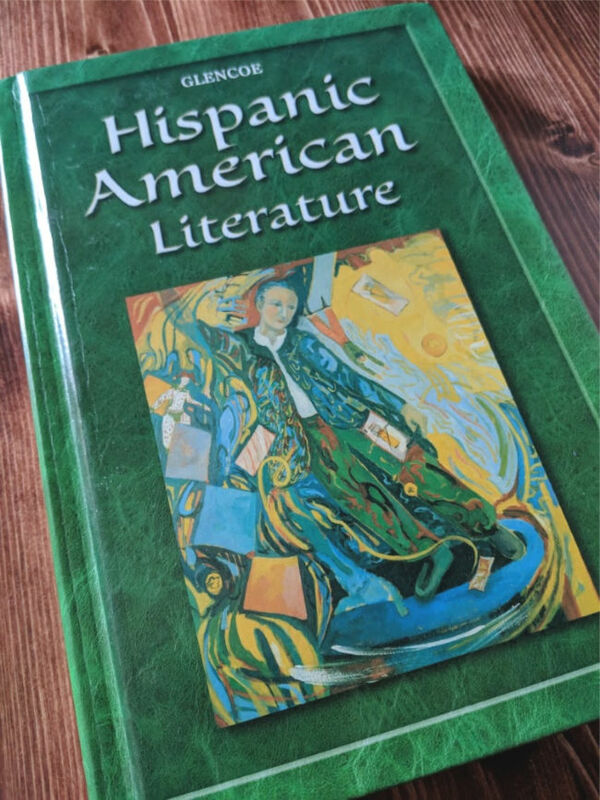 Hispanic American Literature is another excellent find that I stumbled upon one year in my local used book store. It was published nearly 20 years ago but is still a great addition to any bilingual or multicultural homeschool or classroom. The book is a collection of nonfiction, features, short stories, poems, folktales, and drama. 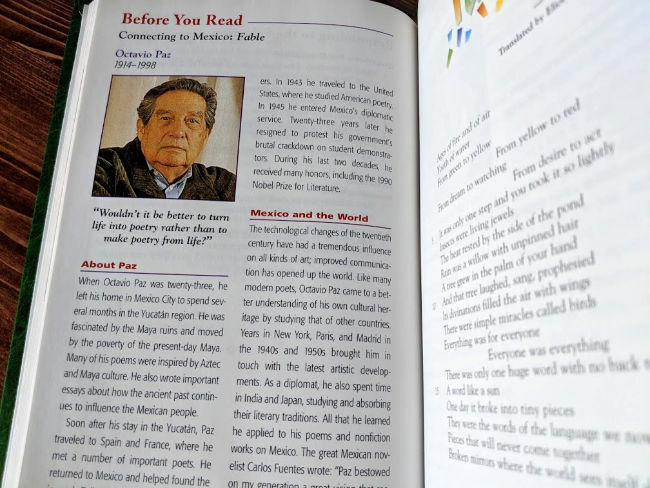 The list of contributors is noteworthy; there are works from writers such as Rudolfo Anaya, Judith Ortiz Cofer, Gary Soto, Margarita Engle, José Martí, Julia Alvarez, Octavio Paz, and many others. Most of them are reprinted from larger works. This book is divided up into five themes: Identity/La Identidad, Earth/La Tierra, Expression/La Expresión, Defiance/El Desafío, and Memory/La Memoria. 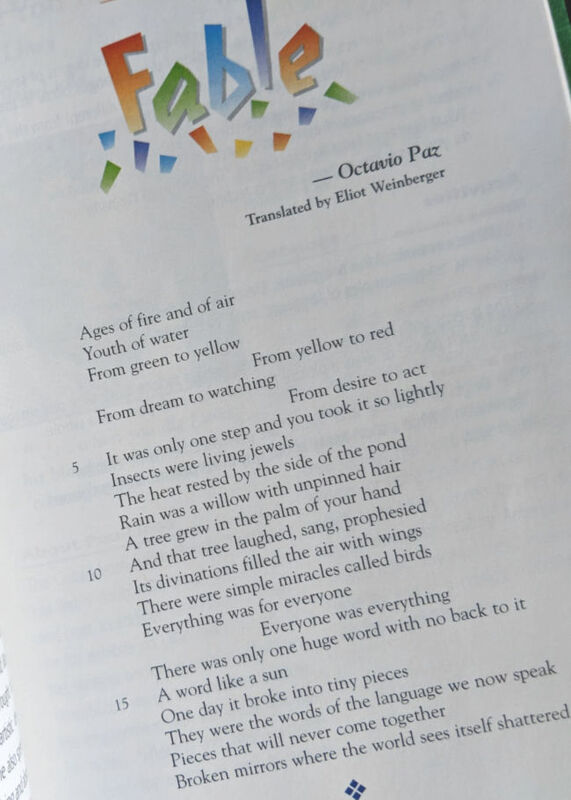 While the text is mostly in English, there are Spanish words mixed in throughout the book in anticipation of a bilingual reader. My son won't know all the Spanish words, so I'll be there to help him. But some are easily figured out by those who don't speak Spanish simply by the context. I was able to find three additional copies of this book. If you are interested, they are available on a first-come, first served basis in my online shop.